My First Christmas story is here! Here is a bit of the background of the story. 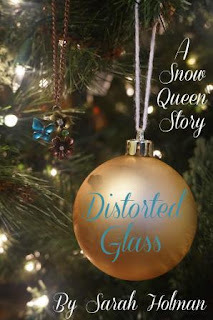 The title for this story comes from a concept in the original Hans Christian Anderson fairytale, the Snow Queen (which you can read here for free). At the beginning of the fairy tale, it talks about this glass that the demons made that distorted everything, and that when a piece of it gets caught in someone’s eye, it distorts their view of the world. Your new story sounds fascinating! Can you believe I've never read The Snow Queen though? I really should.